This post is part 4 in the series Getting Started with Time Management. If you are a planner person, then you don’t need to be convinced. Like me, your planner is probably one of the things you’d grab if your house were burning down around you. 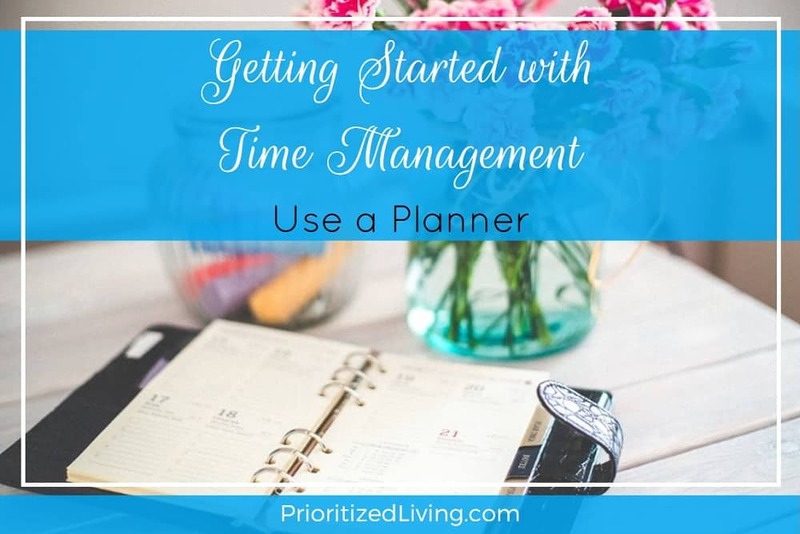 If you’ve never used a planner — or if you’ve used the wrong planner — then you might be amazed by how much organization it can bring to your life. I used to be a non-planner person. I thought planners were just portable calendars for business people with millions of meetings. 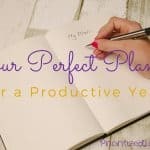 However, I eventually realized that I needed a planner so I could have a single, centralized method of organizing my time and making plans to reach my goals . . . and it worked. Yes, planners are for high-level execs . 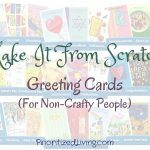 . . but they’re also for folks juggling work and home goals, busy stay-at-home moms, small business owners, anyone who forgets things, anyone with things to do and goals to achieve. If you answer “yes” to more than one of these questions, you too would benefit from a planner! Do you have . . .
A calendar/list of important dates like birthdays and anniversaries? A to-do list or multiple to-do lists? A time map that you follow? Meetings, appointments, and activities whose dates and times you need to reference? Contact information (maybe doctors, schools, etc. and their hours) that you want readily accessible? Lists of weekly, monthly, and/or long-term goals that you want to save and track? A need to see how busy you are not just today but next week and next month? Let me say a word about the last point. It’s easy to plan if you’re just looking at today. What if you want to set up a swing set next month or complete a marathon next year? How do you put that on today’s to-do list? You need a long-term planning tool that allows you to see what’s coming down the pike and plan for (or around) it. A planner lets you . . .
Plan out small steps over time to complete a large goal on time. Delay tasks without forgetting them. Capture activities that you might otherwise forget. Have you ever said to yourself, “Oh, I have to remember to . . .”? Maybe it’s return a call, buy stamps, get a gift for a friend, fix the snowblower, use a coupon before it expires. There are any number of things that we need or want to do that we will inevitably forget until it’s too late . . . unless we’re armed with our trusty planners! Finding your perfect planner is a bit like finding your true love. Even with careful research into a planner, you might find that it’s a total dud . . . or realize that it doesn’t work for your life or your way of thinking/scheduling/planning. Take what you’ve learned and move on. Do you feel more comfortable using a paper planner or a digital planner? Paper planners allow you the benefit of physical contact with your time. You write things down, cross items off, and flip around to see information at a glance. Draw arrows, color-code, erase, and add sticky notes. Digital planners allow you to schedule recurring tasks easily, set alarms, and perform searches. You can zoom in and out of your schedule and fly years ahead to plan. The way you’d see these structures in a paper planner is in the layout of the pages. Daily planners have one day occupying each page (or even two pages) — great for people with a TON to do each day with the trade-off that your planner is voluminous. Weekly planners typically show an entire week over two pages. You have less space per day, but you can see your whole week at a glance. Monthly planners are essentially calendars — one month per page. These are good if you want a super-high-level view of your time and don’t intend to write more than two items per day. You have both portable and stationary options for planners — whether you’re looking for paper or digital. Portable paper planners typically fit in a purse or large bag, while portable digital planners can be handheld devices or even smartphone apps. Stationary paper planners are large, desktop books or write-on blotters, while stationary digital planners are software tools that are installed on a computer. 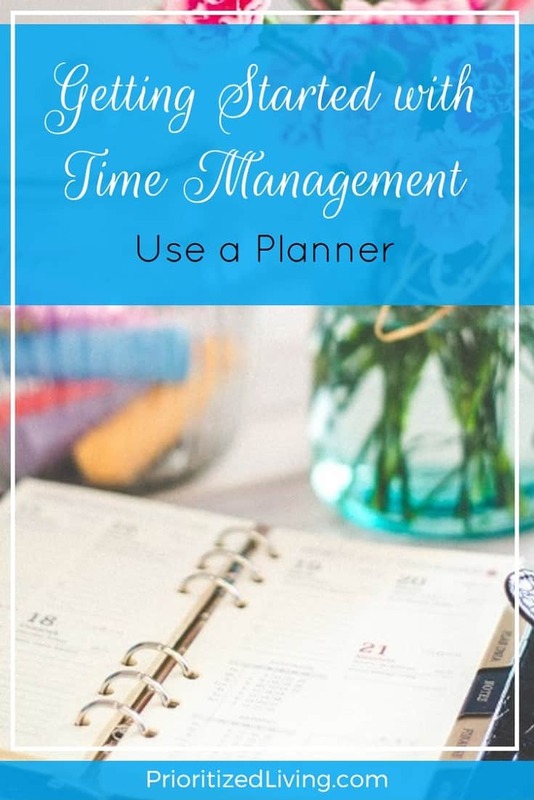 Whether you should opt for the practicality and small size of a portable planner or go for the extensive features of a large, stationary planner depends upon your needs. Portable planners are excellent if you need to reference or write in your planner on the go. Confirm the time of your next meeting while at work, schedule your kid’s next doctor’s visit on the spot, check to see if you’re available on a certain date, and plan out next week’s activities while you’re on the train. Stationary planners are a roomy and feature-laden luxury that you can use if you tend to need your planner in one spot only. 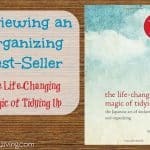 If you run a home business or are a stay-at-home mom, this may be just the planner for you. Put it ALL in your planner. This is my golden rule of planner use. You have one life, so use one planner. Don’t keep a work calendar/planner at the office, a personal planner at home, a family calendar, and a to-do list all with different stuff. You will miss something. It’s okay to have subsets of the information in your planner in other places. For instance, your office likely uses a calendar-scheduling system for setting up meetings electronically, and you probably do have a wall calendar at home so everyone can see the family’s activities. Those are necessary, communal tools, but — for your benefit — copy all of that information to you planner! Here’s how my planner looks. After years of trying different planners, I discovered and fell madly in love with The Planner Pad. (No affiliate link . . . I just love it!) It’s portable, sturdy, easily customizable, and has a brilliant approach to planning that absolutely works for me. A taped copy of my current time map inside the front cover for easy reference. Select contact information (including business hours) I might need to reference on the go. Year-view pages where I can record planned events for next year — and beyond. Handy reference pages for holidays and time zones. Monthly calendars that I use to note birthdays, days off, parties, etc. A blank page at the start of each month where I jot down (and cross off) monthly goals. A two-page spread for each week where I write down my to-do list items by category (work, family, home, etc. ), assign those tasks to days of the week (and cross them off or move them if needed), and record my meetings and appointments. Areas on my weekly-view pages where I note weekly goals, items to buy online (so I can order those all at once), people to contact, etc. Several blank pages in the back that I use for a number of things. One item is recording, prioritizing, and tracking my husband’s and my giant (multi-year) list of home projects. We reference that list each month when picking out our monthly goals . . . and then use the monthly goals to create weekly goals and daily tasks! Maybe this isn’t for everyone, but it absolutely does wonders for our us. I was the only planner-toting fanatic in our household until last year. Then we reached the point where we’d recently bought a house, we had a kid, our jobs became crazier, we got less sleep, and we started to lose track of things. My husband acquiesced to trying out a planner — I think largely to end my charming insistence that it would make his life (and possibly our lives) less stressful and more transparent. He largely lives out of that planner now. Even better, we frequently — and yes, this is geeky but it absolutely works — have planner meetings. We see what’s coming up for each of us and for our family in the week ahead. We talk about what we had hoped to accomplish soon, whether we can still do it, who has the capability and time to do what, and what we should push off. 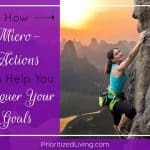 Since we’ve started doing this, we have consciously planned and achieved many of our goals. Plus, we can see what we’ve accomplished with the host of crossed-off items listed in our planners! Let me know how using a planner has improved your life!